United Regional is a tobacco-free campus. This means that smoking and the use of any type of tobacco product is not allowed inside our facilities, or anywhere on our property, including adjacent parking lots and sidewalks. Tobacco use is the number one cause of preventable disease worldwide and is responsible for approximately one in five deaths in the United States. Tobacco use in and around our hospital poses health and safety risks for everyone. As a health care organization, we are committed to health and wellness, which includes providing our patients, visitors, staff, physicians, and volunteers a safe environment that is free of tobacco. A tobacco-free campus is one of the best decisions that we can make to protect the well-being of the communities we serve. Upon admission, please let your nurse or your physician know that you smoke. Your physician can write a prescription for smoking cessation aids while you are in the hospital. 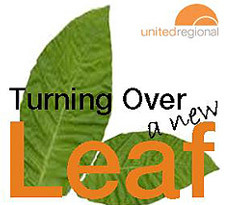 United Regional also provides Smoking Cessation Classes, which are open to the public. Please view the Community Education Calendar to find the dates, times and registration information.